Kira is back and needs to make up for lost time. After deciding to leave the Witness Protection Program she gets disturbing news that Quincy an old flame, Rhonda her business partner, Sunshine an old rival, and her grandmother were all murdered. Kira wants a new beginning so she moves to Houston, Texas with her cousin, Nikki in search of southern hospitality. Little does she know that the streets in Houston and the men who run them are just as dangerous as the hometown she fled. 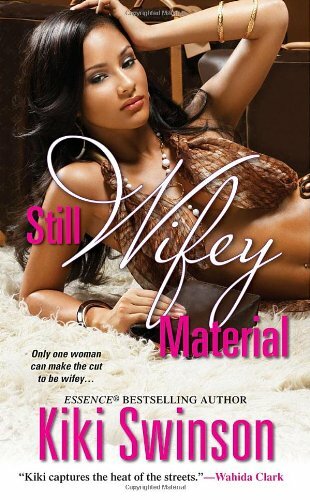 Determined to prove that she is still wifey material, Kira jumps back onto the club scene in search of another sugar-daddy. When she meets Fatu, a Nigerian nightclub owner, her situation is instantly upgraded when he asks to marry her. As Kira begins to make plans for her wedding, her cousin Nikki has plans of her own. Tired of always living in Kira's shadow, Nikki is furious that once again Kira is walking away with the boss. Especially when she had eyes on Fatu first! Nikki is prepared to breakup Kira's engagement by any means necessary but Kira has bigger problems. Fatu isn't the legitimate businessman Kira thought he was. She's uncovered confidential information about Fatu that he is willing to kill for in order to keep secret. Fatu, the notorious crime boss has finally met his match and she's a woman by the name of Kira!